Sheffield Sharks welcome London City Royals to the English Institute Of Sport Sheffield with both teams looking to cement their place in the post-season playoffs. The Royals have enjoyed an impressive debut season in the BBL, which has seen the side win their first piece of silverware, the BBL Trophy, and position themselves in the top eight for the playoffs with just two weeks left of the regular Championship schedule to go. Despite their overall success this season, London have struggled for form recently losing four of their last five league fixtures - their only victory coming against bottom side Worcester Wolves. By contrast, Sheffield Sharks have improved in recent weeks winning four of the five games they played before the midweek defeat at Manchester, including the scalp of seven-time Championship winners Newcastle Eagles. Both sides have won one of the previous two meetings this season at London's home, the Crystal Palace National Sports Centre. We’re down to the last two weekends of the BBL championship season and the title race is down to just two teams, London Lions and Leicester Riders. As it stands, Cup winners the Lions are in the driving seat, having won four games more than the reigning champions after their nervy midweek win, 99-92 over the Plymouth Raiders. That means they have to win just one of their remaining three games to depose the Riders and lift the title for the first time. They could even be champions before they play their next game, at home to Cheshire Phoenix on Monday night, if the Riders slip up in either of the their weekend games against Worcester and Manchester. If Leicester’s challenge survives past Monday night however, The Lions would face a trip to Newcastle to play the third-placed Eagles and then, if they still don’t have the silverware under lock and key, a final home game against Leicester which would be a fitting title decider for this season’s BBL. 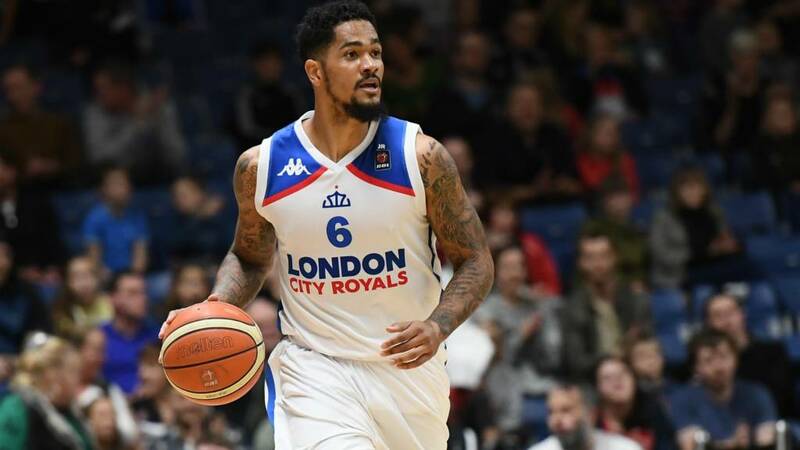 After outlasting crosstown rivals the London Lions to win the BBL Trophy final in Glasgow a month ago, London Royals looked set to qualify early for the play-offs – they were fourth in the league at that time. But a run of just three wins in 10 games and a competitive chasing pack has left them still needing to punch their ticket to the last eight in these final two weekends. He admits he would have expected a play-off spot to have been secured by now but thinks that would have changed little about the Royals. “We’re working on things to get better each game and we’d still be doing that if we had secured the play-offs spot,” he told BBC Sport. The Royals and Sharks have split their first two meetings this season and Williams has spotted that the Sharks’ mid-season slump seems to be over. Sheffield captain Mike Tuck wants the Sharks to finish the BBL season strongly to carry momentum into a successful Play-off campaign. "We've got two games left to secure our place in the play-offs and get some momentum going into those play-offs," he told BBC Sport. Tuck was talking before the Sharks' crunch game against fellow play-off hopefuls London Royals on Friday night. With two weeks remaining, seven teams are chasing five play-off spots. Find out more about what Tuck had to say here. The quarter-final pairings for the WBBL Play-offs will be decided this weekend, with the top eight teams in the division already sure of reaching the last eight. Champions Sevenoaks Suns will be the top seeds and can finish the season unbeaten if they beat Nottingham. They are already sure of facing Oaklands Wolves at home in the quarters, but the three other ties will be decided this weekend. Trophy winners the Leicester Riders could be confirmed as runners-up in the Championship if Cup winners Sheffield Hatters lose away to Essex in the first leg of their weekend double-header, but if they don’t, Leicester will need to beat Sheffield to take second. Sheffield need to win both their games to take second, and their win against Leicester needs to be by three points at least. The WBBL runners-up are sure to face seventh-placed Newcastle in the last eight. The third-placed team would play at home to either Durham or Nottingham in the quarters. Durham will finish fifth and secure a trip to Manchester Mystics if they win at Oaklands, but even if they lose, the Nottingham Wildcats would need to beat the Suns to sneak fifth. How can I watch Sheffield Sharks v London City Royals? Times stated are BST and subject to change. You can watch Sheffield Sharks v London City Royals in the BBL live on the BBC Sport website, app, connected TV and iPlayer on Friday, 19 April from 19:20-21:30. The game will be replayed on the Red Button at 21:00 and will also be available to watch in full on BBC iPlayer for 30 days. Find your local club by visiting England, Scotland, Wales and Northern Ireland Basketball Association websites.